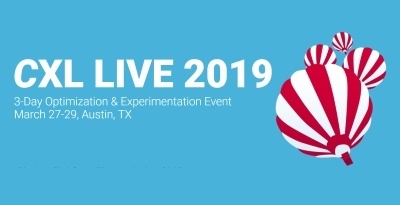 CXL Live 2019 | Mac McIntosh Inc.
CXL Live 2019 is a 3-day event with exclusive focus on growth, conversion optimization, experimentation and related topics. Network with industry pros and experts with hands-on experience in driving growth and improve your conversion skills. Hear from carefully curated speakers as they share with you their insights and experience.